How to run FreeBSD on Windows using VirtualBox - Software Projects Inc.
VirtualBox is a general-purpose full virtualizer for x86 hardware. It allows running any flavor Unix system on a Windows box. Create a new VirtualBox machine, selecting BSD as the operating system and FreeBSD as the version. Click Next to accept all defaults, but when you get to the 'Virtual Disk Location and Size' screen, change the disk size to 50GB. Double-click the new machine to start it. You will be greeted with a 'Welcome to the first run' wizard. 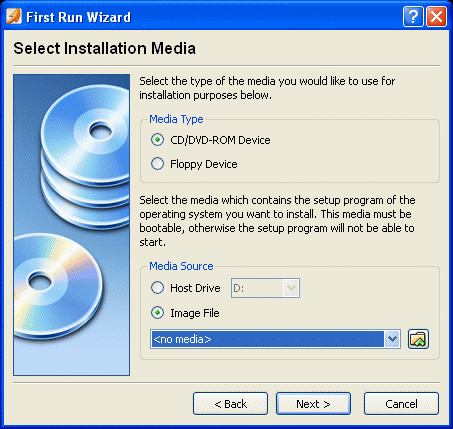 A 'Select Installation Media' screen will then popup. Pick the 'Image File' option, click the icon and locate the folder on your machine where you previously saved the FreeBSD iso file. Click next a few times, keeping all default options. You will see a message saying All file information saved successfully. FreeBSD install will then begin running. After installing I want to be able to ssh in to freebsd from windows Are the instructions the same?